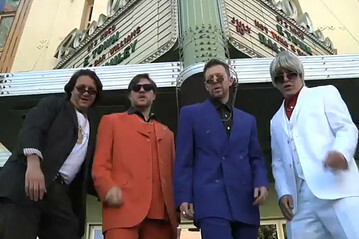 The venture capital industry’s online talent show has a new entrant, with Boulder, Colo.-based Foundry Group channeling the vocal and aggressive facial hair styling of ‘90s R&B group Color Me Badd in a music video that spoof’s Saturday Night Live’s Digital Short segment. It almost begs for an SNL spoof of our own: REALLY!?! with Venture Capital Dispatch. But, we’ll leave the comedy to the venture capitalists. The video was clearly meant to publicize a new book from partners Brad Feld and Jason Mendelson titled “Venture Deals: Be Smarter Than Your Lawyer and Venture Capitalist.” But the spoof–which Feld jokes in a press release is “an important piece of American film making”–also takes some humorous jabs at the venture capital industry. For example, the song rhymes “I’m a VC” with “I meet over Sushi.” There’s also talk of khakis and climbing “under the term sheets.” And then there’s the line, “’Cause I’m a VC, I’m a VC/Can’t take a leak without people who pitch me.” It’s worth noting that particular scene features a journalist pitching a venture firm to Feld as he stands at a urinal.